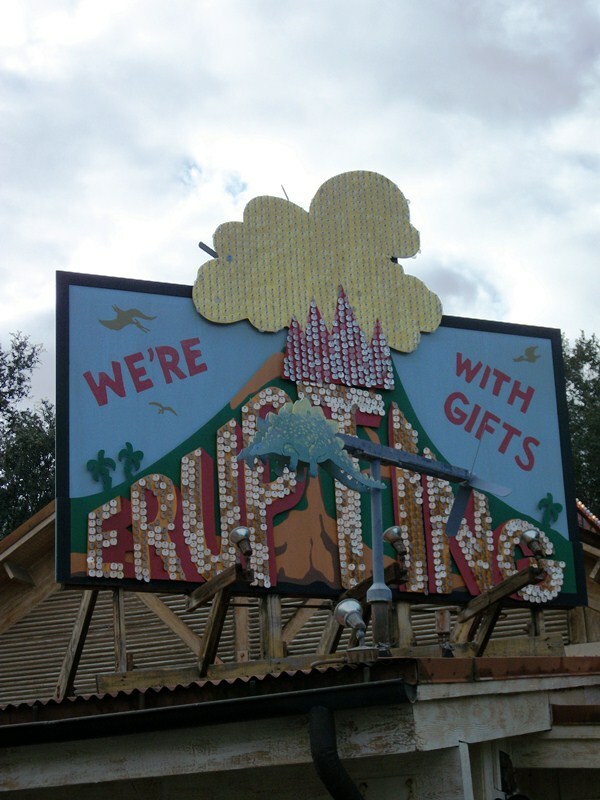 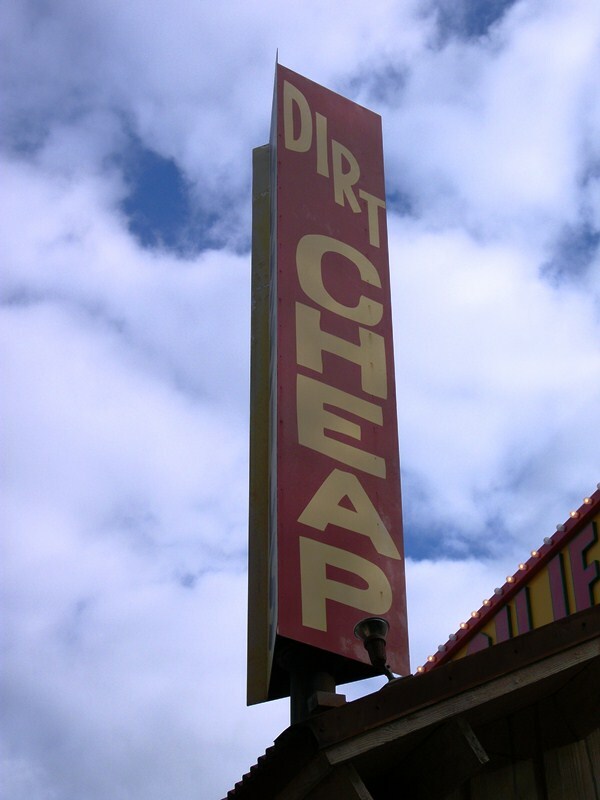 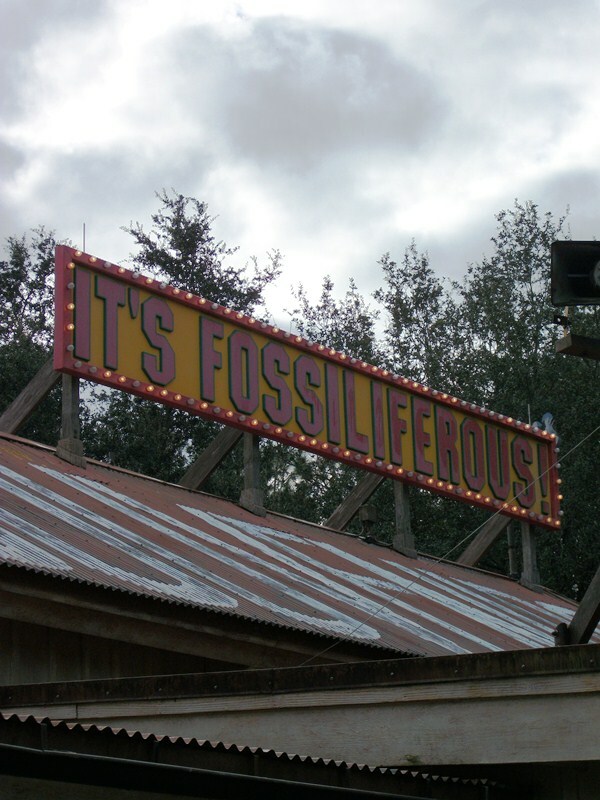 If there’s one thing a roadside attraction needs, it is noisy advertisements that draw a driver’s attention away from the road and toward the gaudy sideshow. 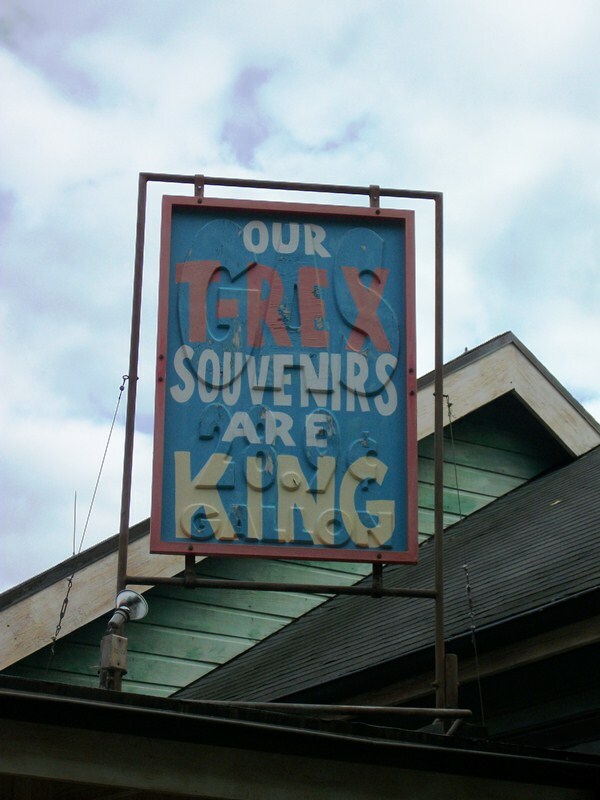 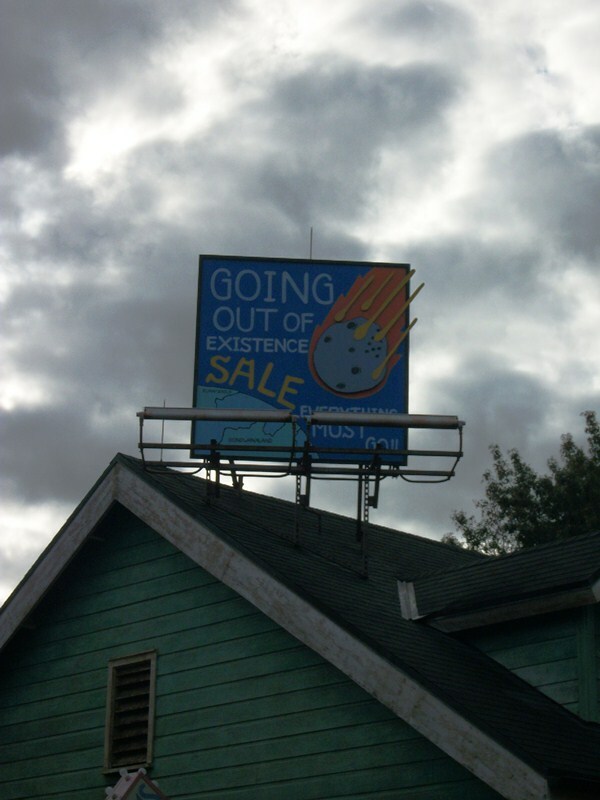 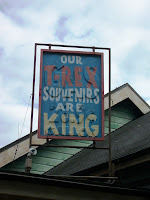 More often than not these billboards are brightly colored, have quirky wording, and have something special to draw attention to them, something along the lines of reflectors, lights, or moving pieces. 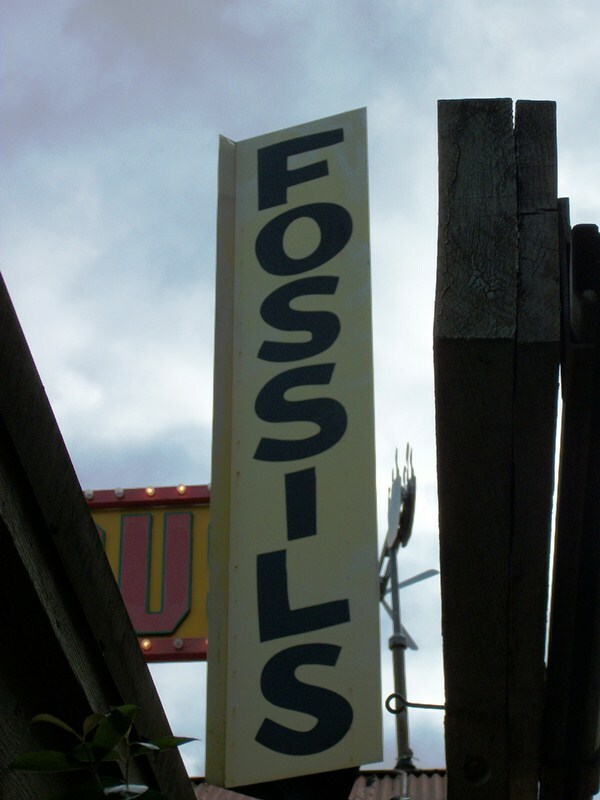 Another angle would be to put up a ton of showy signs. 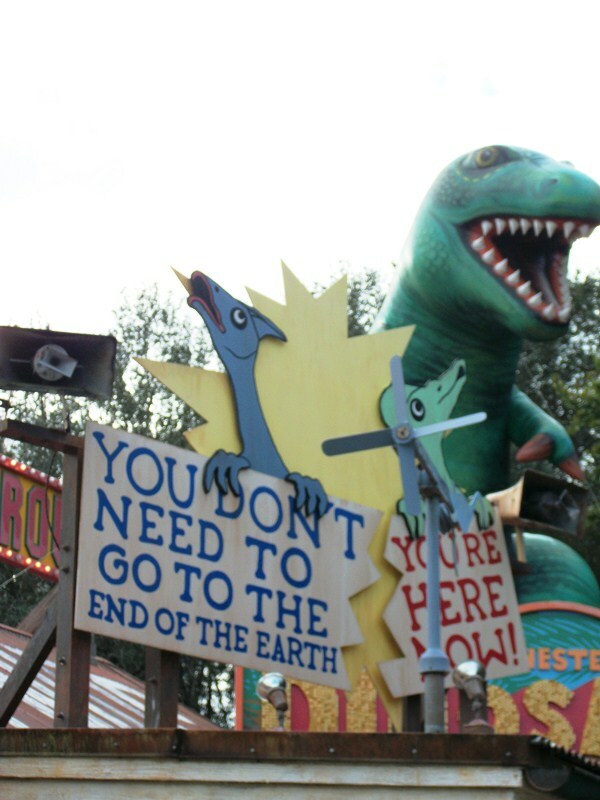 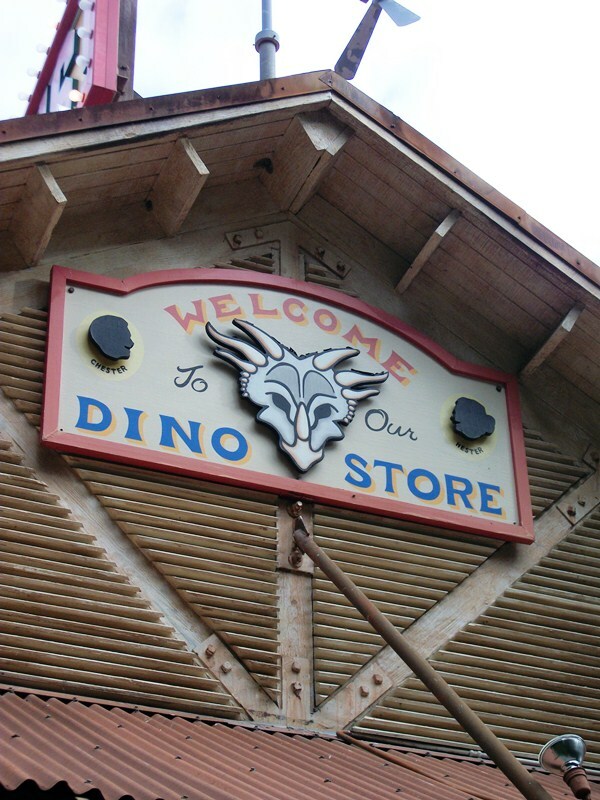 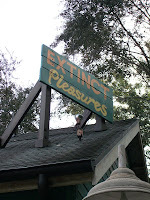 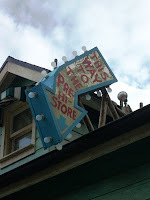 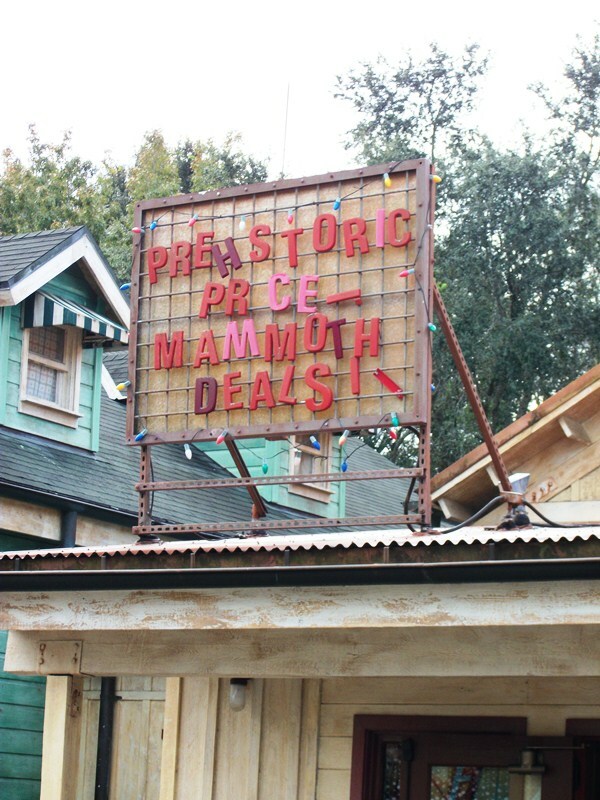 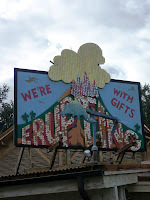 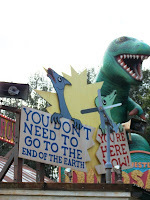 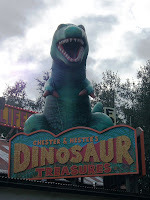 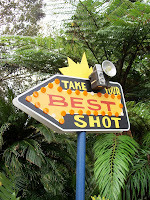 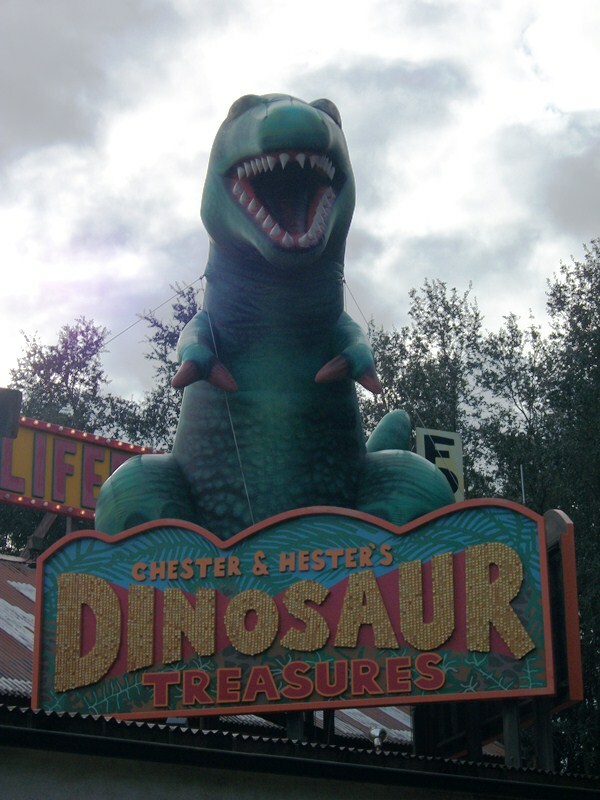 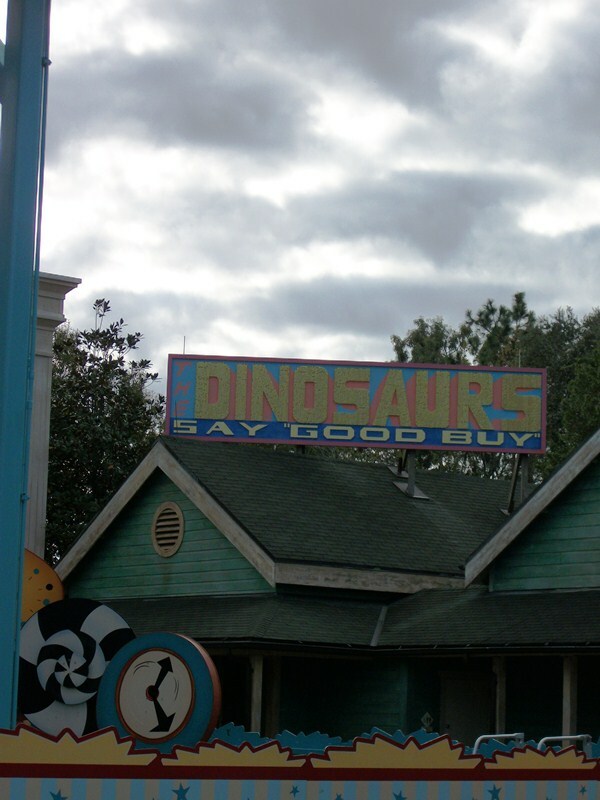 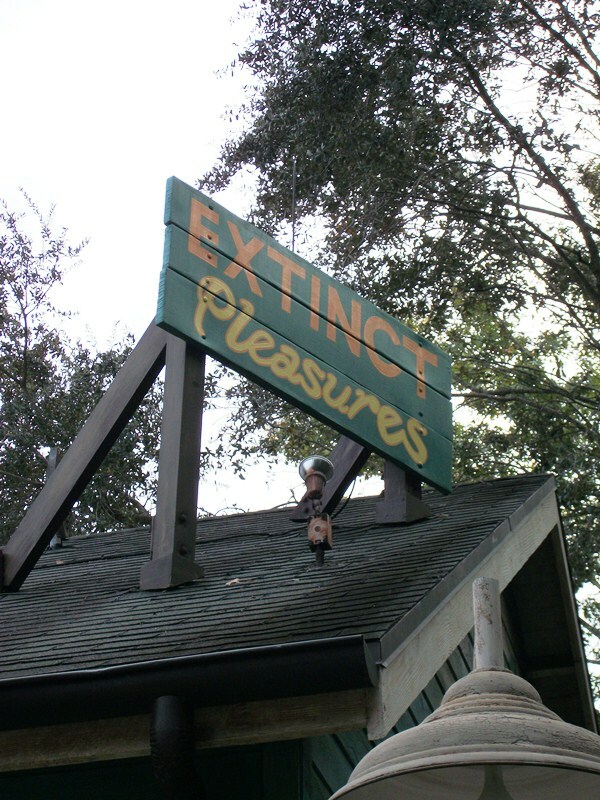 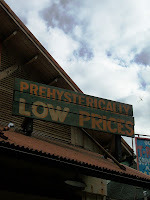 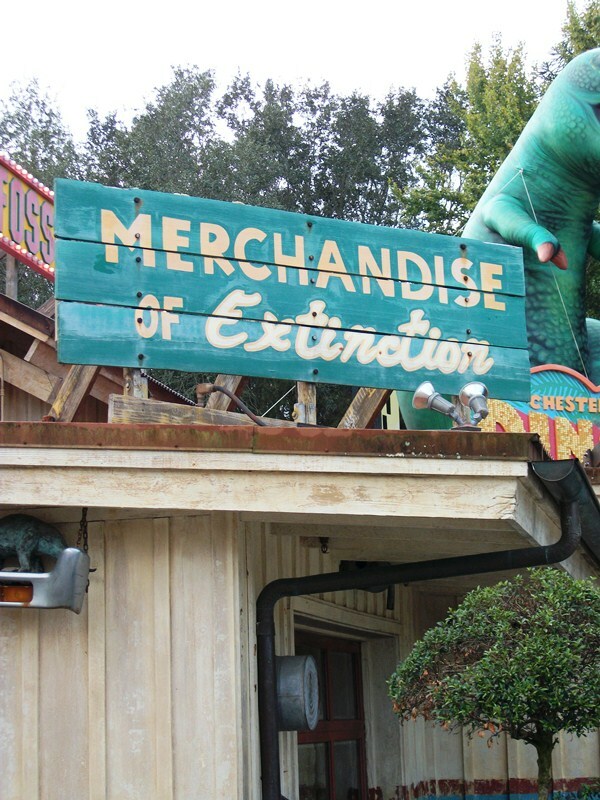 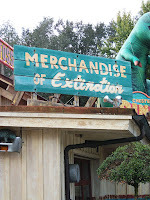 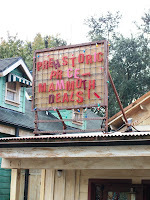 Luckily for guests who choose to acknowledge Chester and Hester’s in Disney’s Animal Kingdom, the roof and surroundings are filled with kitschy signage!